followPhyllis - Page 26 of 29 - A realistic approach to being YOUR best at any age! Now that this year is coming to an end and a new one is about to begin, many of us start thinking about changes we need to make. The problem with resolutions is that they really are end goals without an action plan: I want to lose weight; I want to stop smoking; I want to get fit. And how do you plan on achieving these goals? Instead of making resolutions, I make a “to do” list that will aide me in achieving a desired result. I get hungry a lot even though I do eat throughout the day. Sometimes I just need a “little something” to satisfy that gnawing I feel in my tummy. Being as busy as I am, I needed to find a treat that would satisfy that sweet and salty and creamy and crunchy taste that I craved. So instead of having some chips and cookies and ice cream, I’ve come up with a solution that I call “Spoon Situation”, because if I don’t immediately shove something in my mouth I’m going to have a real bad situation by eating everything in sight. I could write a novel about the importance of women over fifty exercising. I would include all the scientific data, the success stories and so on. But instead of posting something you’ve read a million times before, I decided to write about what specifically motivates me to include exercise as part of my normal routine, like brushing my teeth. Engaging in a consistent workout program does so much more than just make me look good — but to be honest, it is the main reason. Okay. I admit it. I like black but I love grey. The different shades and textures of grey are softer than black and I think we look less tired with grey against our skin. But don’t get me wrong — black is an irreplaceable basic and works beautifully with grey. I always pair the two. I think black and grey have a youthful vibe. And you can add any color as an accessory, like a merlot scarf or some turquoise jewelry if you wish. 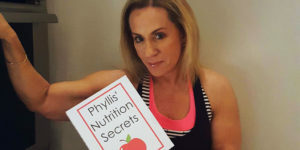 If you read my short bio “Who is Phyllis?” you know that from personal tragedy came an unyielding promise to myself that I would always follow a healthy lifestyle. 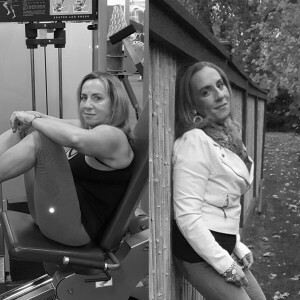 Having a mom who died at 53, I understood the importance of fitness and good nutrition especially for women over the age of 50. I have spent most of my adult life sticking to that promise, sometimes sidelined by a busy work schedule or an overload of mommy duties. But those distractions quickly passed and I continued on my path. Unfortunately, sometimes those bumps in the road were a little more major than having to work until ten every evening. I AM HAPPY TO ANNOUNCE THE LAUNCH OF MY NEW AMAZON STORE! I'm thrilled to share some of my favorite products with you! 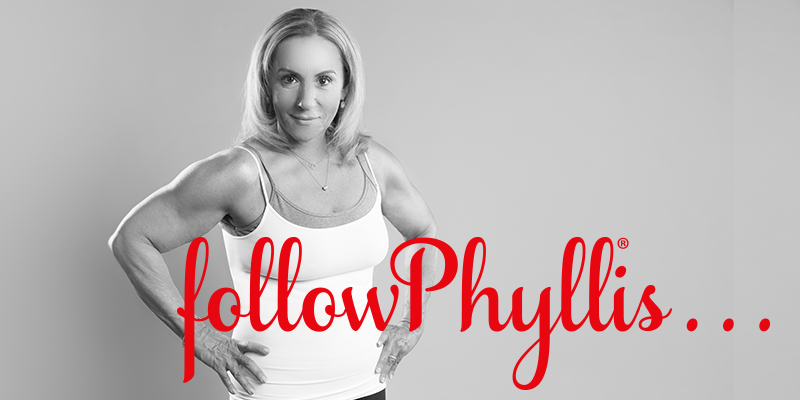 WHO IS PHYLLIS and WHY SHOULD YOU FOLLOW ME? I decided to start this website because I was tired of seeing and hearing the same old dialogue about middle aged women, regardless of what number you put on that term. You would think we couldn’t hear what was being said. Does the population at large think we are just invisible? In fact, for the most part, they do and we are. But who is to blame? Or better yet, what can we do to change this notion, both within society but more importantly, within ourselves? If starting an exercise program is one of your New Year's resolutions, this is a must watch video! 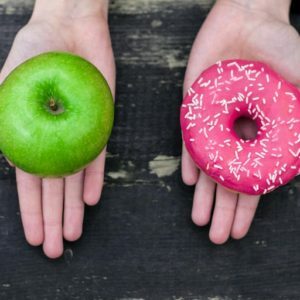 If losing weight in 2019 is your top priority, this post outlines best strategies for self-control! Some posts contain affiliate links. This means if you purchase product from one of these links I may earn a small commission, which in no way affects your price. All recommendations and opinions are mine.